1.Mix the rice ravva with sufficient water and little oil. 2.Add turmeric powder to the boiling mixture,cook the rice ravva until it is done. 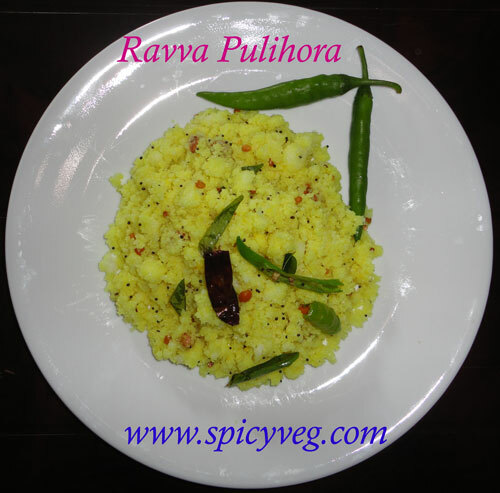 3.The rice ravva remains separated if we use some oil while cooking it. 4.Place the ravva in a wide plate and allow it to cool. 6. Add enough salt and mix well. 7.Now, add this mixture to the cooked rice ravva and mix well. It looks delicious. I ate lots of it in college.